How to Make a Calibration Curve in Excel. This post is specially made for science or engineering students. As if you are science or engineering student. If you want to know the conc. 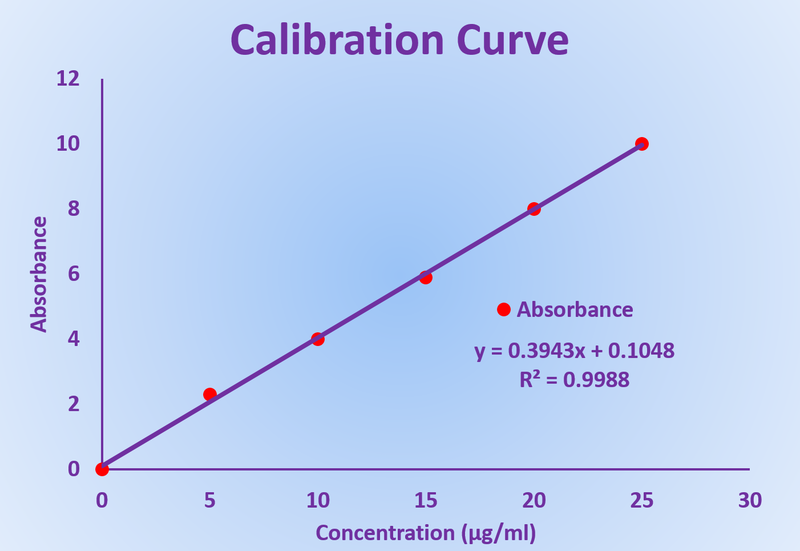 of any sample by UV-spectrophotometer, then obviously you need a calibration equation to determine the unknown concentration or unknown parameters by using calibration curve. 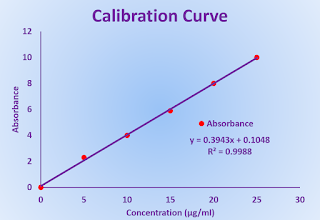 Calibration curve is also useful in other areas of science. But my intention is towards analysis of conc. of any sample by UV-spectrophotmeter. Well, Whatever area will be, but method of ploting of calibration curve in excel will be same. I am going to tell you about the process to make calibration curve in excel. Before proceeding towards to plot calibration curve in excel. You should have some practical data to plot. After getting practical data, then go towards excel. Put the Data in two columns. (In case of above diagram First column contain Concentration, and second column will contain Absorbances). Then Select the both data. Click on Insert option in menu. Then select the type of graph (XY Scatter). After selecting the graph, a graph will appear with your practical data. Then right click on any point of data. And select the option trend line. Choose the options like Show equation on chart, Show R squared value and Select intercept if you want. Your calibration curve will be ready along with trendline, Equation (Y=mx+C) and R squared value. You can also make a calibration curves in other softwares like Origin. There are also other types of charts present in excel, but calibration curve require XY scatter type of chart. Some researchers uses intercept in calibration curves while some doesn't. So make sure as per your need. The equation (Y=mx+C) that is generated by standard calibration curve is used to determine the unknown conc. of any sample. Stay connected with A to Z Color to get Education related articles.